In an open letter and open submission, thirty-three civil society organisations have called on the European Commission to abolish the supplementary protection certificates (SPC) mechanism and to stop encouraging the inclusion of SPCs – or similar mechanisms, such as patent term extensions – in free trade agreements with other countries. Supplementary protection certificates (SPCs) expand and extend existing monopoly rights of pharmaceutical corporations. As such, SPCs lead to higher medicines prices by preventing generic competition for a longer period of time and prolonging the monopolies of originator pharmaceutical companies. SPCs were initially introduced, and partly justified, based upon pharmaceutical companies’ concern that they were no longer given a fair opportunity to recover their investments in research and development (R&D). However, SPCs are counterproductive to stimulating innovation. They create incentives for companies to focus on prolonging monopolies through controversial ‘evergreening’ strategies, including the filing of multiple patents and pursuit of prolonged patent terms for the same medicine. SPCs do not create incentives for innovation targeting unmet public health needs; rather, they disproportionately empower commercial interests and encourage pharmaceutical companies to prioritise R&D only in profitable markets. 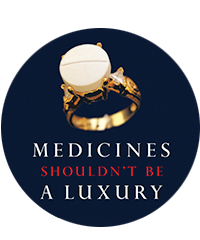 High prices of lifesaving medicines have become a global challenge, in Europe as well as in the developing world. Prolonged market exclusivity through SPCs has enabled companies to charge unaffordable prices, as demonstrated – in detail and with concrete examples – in the full submission text.